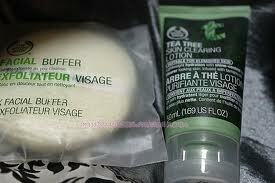 I've always loved the smell of tea tree oil, so the scent was not an issue for me. I'm usually only prone to breakouts in the summer, and I was in dire need of a good toner. I stumbled across this one because I heard good things about it from a friend. It burns a bit when you first start, but gradually, your skin adjusts to the toner and it honestly leaves my skin so smooth. It controls oil well. Also, I wasn't looking for something to get rid of acne, as I typically only break out a bit. I would definitely recommend this product to those with oily skin. It will most likely irritate dry/sensitive skin. Also, I got mine for about $12.50, so it's a little on the expensive side. But definitely not as bad as the Proactiv toner I used to buy. So I guess it's all subjective, but personally, it was a great price for a fantastic toner. Great product for me.